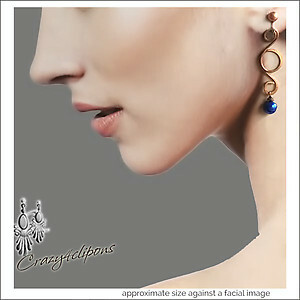 Product Description: Swirled Copper, Pearl Earrings. Features: Light, fun and simple. 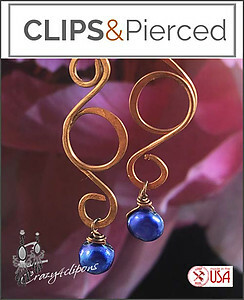 Copper wire is swirled and hand-hammered to create a light the component to hang a bold cobalt blue fresh water pearl (dyed). The nature of the wire will naturally oxidized to give the earrings a deeper contrast. The look is ethnic yet so light and easy to wear. Perfect for the season. Earrings available for pierced ears too.